In the last few months the anti-vapers have been winning the e-cigarette debate. Local and state governments throughout the country have been taxing, regulating, and banning left and right. The anti-vaping propaganda has so far seized on the lack of FDA regulations to convince potential vapers that e-cigarettes are harmful. Some have even made the preposterous claim that they are equally harmful as analog cigarettes. In an op-ed in the New York Times, Sally Satel claims that the lack of common sense regulations from the FDA has actually hurt public health by letting anti-vapers make enough wild claims about the dangers of vaping to actually cause people to continue smoking instead. After all, if e-cigarettes are just as bad as smoking, then why bother quitting? According to Sally Satel, it would be better for the FDA to release non-enforceable interim regulations to help ease people’s minds by ensuring that there are some basic standards that must be met. “The agency should start by focusing on a few basic steps. It should outline basic good-manufacturing practices for the devices and liquids, including limits on the amount of chemicals, like formaldehyde, and metals, like nickel, that can be present in the aerosols. It should disallow outright some contaminants in the nicotine solution and flavorings. In addition to these common sense regulations, she also thinks that it would be wise for the FDA to allow manufacturers to make a label stating the obvious: that electronic cigarettes are safer than smoking. While Vapor Vanity is generally opposed to regulations, which seem to be mainly created as a way to help increase tobacco company profits while stifling innovation in the free market and destroying public health, it seems like this would be a fair compromise. Some basic regulations would hopefully destroy the pathetic arguments against vaping while helping to save lives by encouraging smokers to quit. 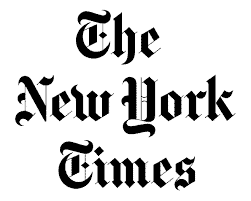 What do you think about the New York Times article? Would interim regulations be good or bad for the vaping movement?